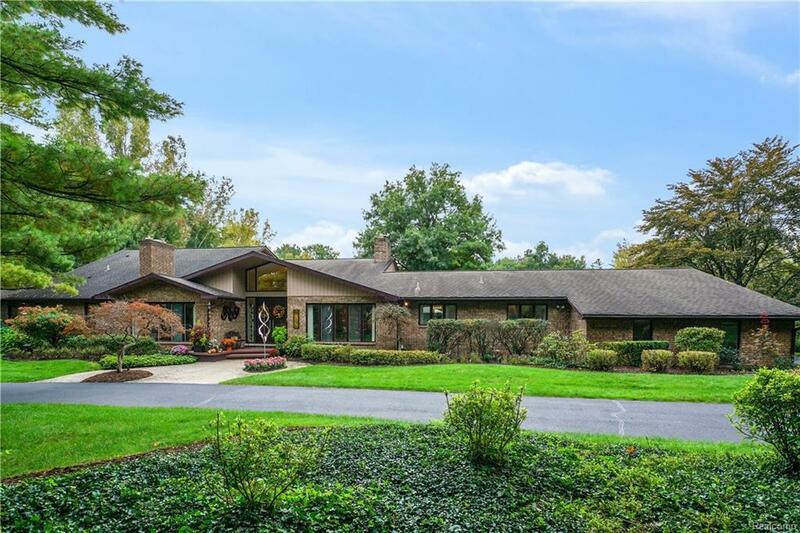 Contemporary home set on 3 plus acres of manicured landscape with tranquil water feature in the Village of Franklin. Marble flooring leads to expansive living room with panoramic views of the water and grounds. Fireplace and bar for entertaining. Formal dining room and entry level library. Light and bright kitchen with Sub Zero refrigerator and stainless steel appliances. Family room and breakfast area with access to deck and outdoor spaces. Expansive master suite with wall of windows, sitting area and fireplace, private bathroom with shower and jacuzzi tub. Additional bedrooms follow. Spectacular setting offers multiple indoor and outdoor entertaining spaces with picturesque landscape.